Look laid back and feel comfortable in these stylish Converse Madison canvas shoes. This style features a canvas upper with a knit mesh overlay. 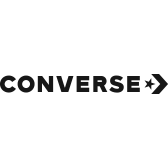 The Converse CTAS Madison sneakers have a padded tongue and collar and an elasticized gore at the tongue to change your look.